This year, the first Lord of the Rings movie, “The Fellowship of the Ring,” turns 18 — if you can believe that. It doesn’t seem like it’s been nearly 20 years since Peter Jackson’s Lord of the Rings trilogy first arrived in theaters, making an impact on film and pop culture that continues to be felt today. The trilogy is now so well-regarded by critics and fans that it’s weird to think back and remember what a gamble these films initially were. Three films (all 3 or more hours long) filmed simultaneously by a relatively unknown director, drawing from beloved but complicated (and lengthy!) source material? Many studios might have feared a potentially catastrophic flop, but Jackson stuck to his creative vision, and fans were rewarded with one of the best film trilogies ever made. It’s been a number of years since I last sat down to watch the Lord of the Rings movies, and I was curious to see how well the films held up over time, especially since special effects technology has continued to evolve since the early 2000s. My husband and I recently re-watched these movies, and I was happy to find that, yes, the LOTR trilogy is still awesome. The few special effects that did feel dated by no means lessened our enjoyment of the film. I’d forgotten just how good these movies were, and re-watching them made me fall in love with them all over again. Here are some of the reasons why I think this trilogy has aged so well. It doesn’t matter how good a film’s special effects are — or even how cool the plot is — if the audience doesn’t connect with the characters. While Jackson already had plenty of great characters to work with, thanks to J.R.R. Tolkien’s original text, the casting for this film was spot-on, and remains one of the best ensemble casts I’ve ever seen. It’s a shame that some of the actors who appeared in this movie have fallen off Hollywood’s radar over the years, but I’m glad new generations of fans will be able to discover their performances here. The acting, costumes, and makeup truly bring these characters to life, and I feel like if I tried to start listing out my favorite performances, I’d end up just listing the entire cast. Another feature that really helps this film is the fact that Jackson chose to shoot so many scenes on location. These films came out around the same time as “Star Wars: Attack of the Clones,” but Episode II feels more dated because of its over-reliance on special effects. Jackson took the time to build lots of props and sets, and he showed off the breathtaking beauty of his native New Zealand, which truly is a real-life Middle Earth. Even after another 20 years, the cinematography is still going to look amazing. Now, there are a few scenes where you go, “yeah, I can tell that’s some early-2000s CGI,” but this doesn’t happen a lot. I’m so glad they decided to use makeup and costumes for the Orcs, and took time to build all those props, armor, and models. They add so much texture and realism to the film. Speaking of CGI, Gollum still looks great, and it just amazes me that they were able to make him appear so lifelike. A lot of that has to do with Andy Serkis’ performance; Hollywood owes him a lot for his pioneering motion-capture work. Gollum is also a wonderfully complex character, the kind you love to hate but also, in certain moments, catch yourself feeling just a little bit sorry for. And I’d also be remiss if I failed to mention the music in this movie. Howard Shore’s score for this film not only fits with the story perfectly, it’s a beautiful musical work all on its own. The epic, sweeping pieces match the grand scale of the story being told. My favorite characters when I was a teenager were Sam and Éowyn, and re-watching the film reminded me of how much they meant to me. Sam might not be a badass warrior, but to me he’s possibly the biggest hero in the whole story. His selfless dedication to helping Frodo takes him to horrifying places, but he doesn’t give up and is willing to sacrifice his life to help his friend. We need more people in the world like Sam, and I still look up to him and try to follow his example. Éowyn is also a character who was a positive role model for me as a teenager. Despite the restrictions her world tries to place upon her, she rides into battle and ends up accomplishing the impossible — defeating the Witch-King. Watching the movies now, I do wish there were more female characters overall, and that these female characters actually got a chance to interact with each other. But that doesn’t take away from how amazing Éowyn is, and I love that she’s eventually able to find healing and peace after the war. 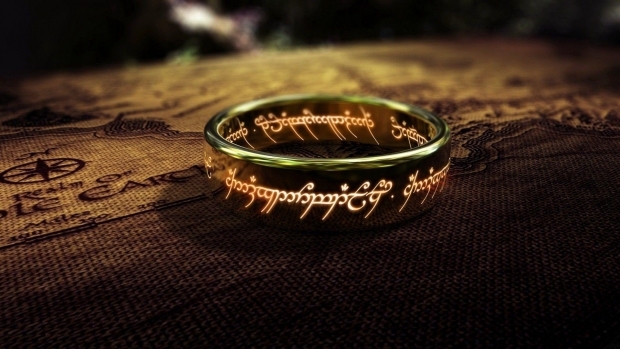 It’s impossible to sum up the impact of the Lord of the Rings in just one article, but I think one of the main reasons these books and movies have experienced such enduring popularity is their message of hope and light. Humanity has lived through some very dark times, some of which Tolkien experienced firsthand as a soldier during World War I. It’s easy to feel overwhelmed and lost, and it’s tempting to look around at all the pain and suffering and simply give in to despair. That’s the sort of message our world so desperately needs — and always will need. There’s still good in the world, and it’s up to us to not let the light of hope die. We don’t have to be powerful warriors; we can be like the ordinary hobbits, whose kindness, compassion, and courage have the power to save the world.